Last October 15, Sun officially announced their new celebrity ambassadors promoting their postpaid and prepaid promos. Celebrity endorsers include veteran TV noontime host and comedian Vic Sotto, actor, model and athlete Matteo Guidicelli and the returning brand ambassador of Sun, dramatic multi-awarded actress and singer Maja Salvador. 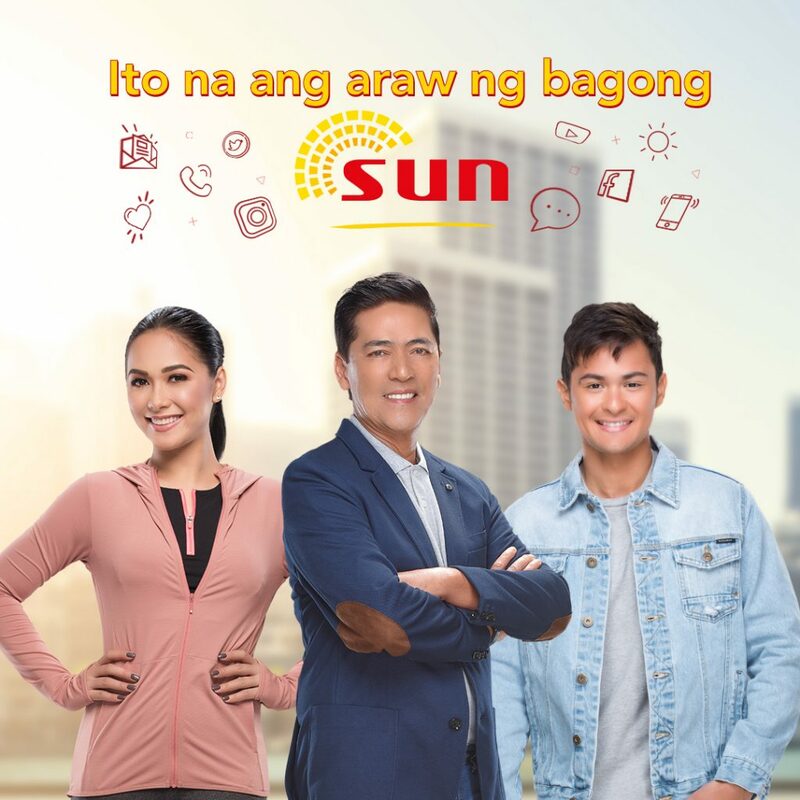 And to celebrate the arrival of the three celebrity ambassadors, Sun also announced the good news to all their subscribers that they already have high-speed internet with a more improved and wider LTE coverage. It allows Sun subscribers to stay online 24/7 and enjoy activities like surfing, downloading files, streaming music and videos, and mobile gaming in blazing speeds and affordable prices. And to make it easier for the current Sun 3G SIM owners, they just need to go to Sun stores and have their SIM swapped for free.